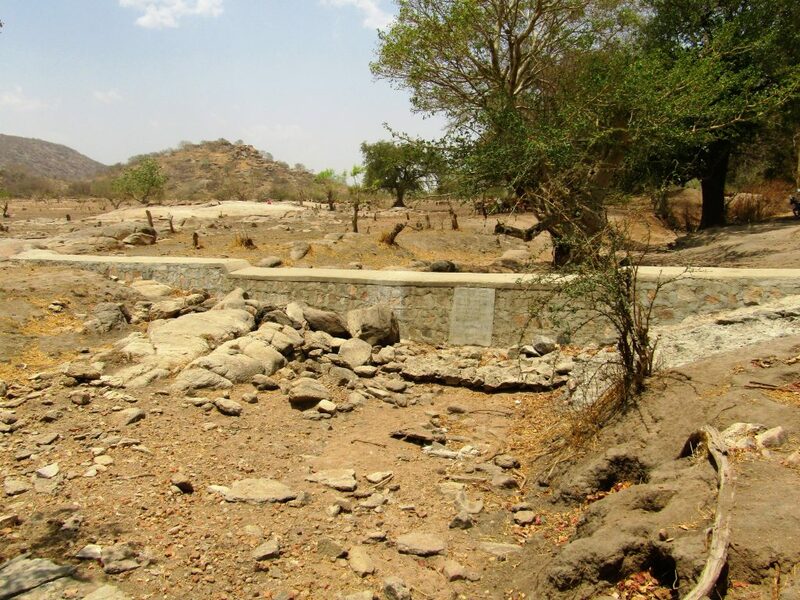 We are supporting SOS Sahel Sudan to tackle water insecurity in and around Eltamraya village in South Kordofan State of Sudan through our sand dam programme. 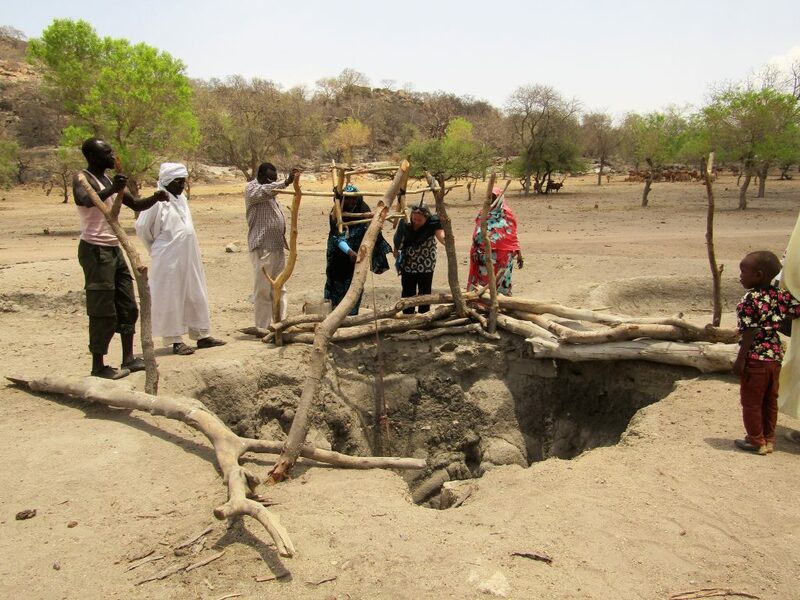 SOS Sahel Sudan have so far built two sand dams in the rural village of Eltamraya, and plans to build another in 2018. This area is home to a diverse mix of Nubian, Arabian and African tribes, with livelihoods grounded in agriculture, pastoralism and small enterprises (such as brick making and selling tea). Since conflict erupted in South Kordofan in 2011, the area has also been a destination for internally displaced persons, who have settled in the locality and now share the limited water sources with the host community. Due to the growing population and the large number of livestock in the area, there is a great imbalance between the quantity of water available and the demand for human and animal drinking water and irrigation. Local conflicts can occur, particularly between farmers and pastoralists, due to the increasing competition on natural resources. These photos were taken in May 2017, right at the end of the dry season, and illustrate just how hot and dry the village gets. 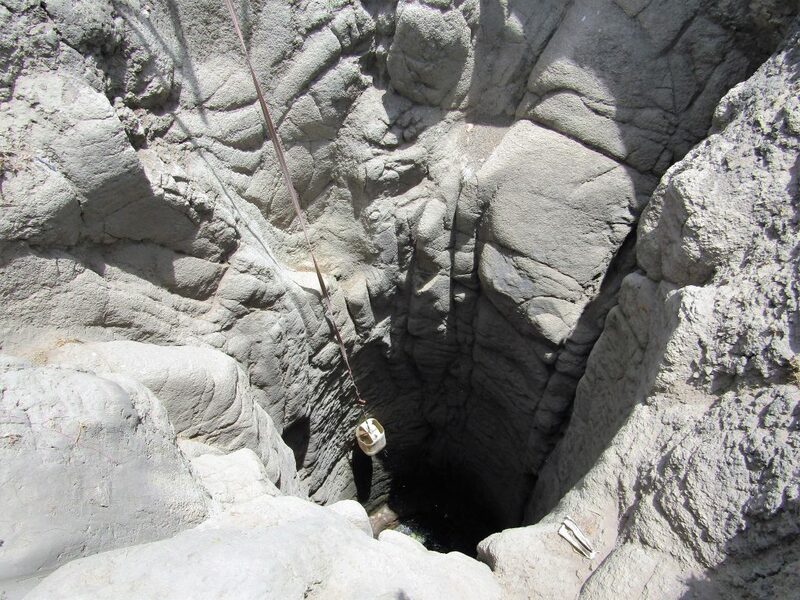 As it has only been a year since the completion of the first sand dam in the village, the water table is still low and is accessed through extremely deep open dug wells. However, unlike previous years (when by May the wells would have run dry), water is still locally available despite the desperate heat and therefore communities can continue to make bricks and feed their cattle locally. The community are extremely happy with the impact of the sand dams already, and this impact is only going to grow as the dams mature. The project team from SOS Sahel Sudan worked with the community to identify clear roles during the construction and after. 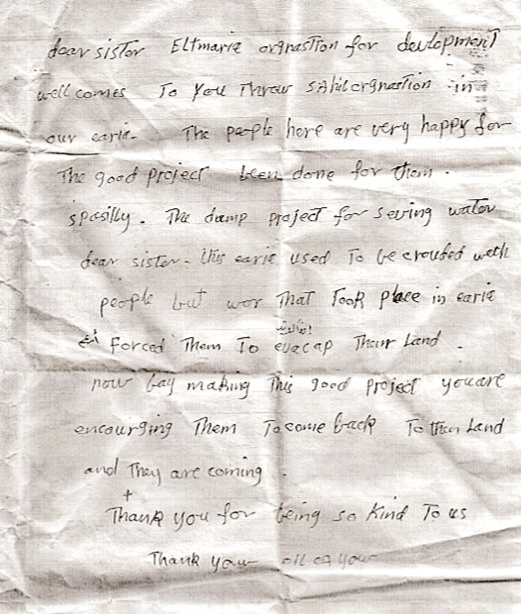 The community helped to collect stones, cut them into shape and cook for the labourers and sand dam technicians. They have been trained on how to maintain the dam, and say that they will be able to repair the dam should anything happen. There is a sense of solidarity among the community, and other villages have seen the impact of the dam and want one in their villages too. Women and girls usually fetch water from long distances in the dry season, and once the dam matures and reaches its capacity, they will use this time to cultivate kitchen gardens instead.